After a three-year hiatus, Freddy & the Yetis have returned to record a brand new full-length album, expected to release late summer 2019. Featuring an all-star new group including Eric Luba (Analog Son), Neal “Fro” Evans (Dopapod), Dan Africano (John Brown’s Body), and more! Raised by a family of dead-heads and music-lovers, Frederick Aidan Pagnani was born in Connecticut 26 loving years ago. Having developed an early sense of music in his unsuspecting surroundings, Aidan grew further into his music studies with countless lessons and programs. By the time he graduated high school in 2009, Aidan had performed weddings, plays, churches, community centers, parties, and venues through out New England as a solo act and with numerous bands. Aidan Pagnani left Connecticut for good to study music theory and composition at Hampshire College in Massachusetts. He made several notable achievements during this time including numerous appearances with Robert Randolph and the creation of the well received hip hop band Fig & a Little Inappropriate. His senior div III dissertation saw the resurrection of his high school band Freddy & the Yetis, who transformed into an original music project arranged for a rock quintet accompanied by five strings and horns. 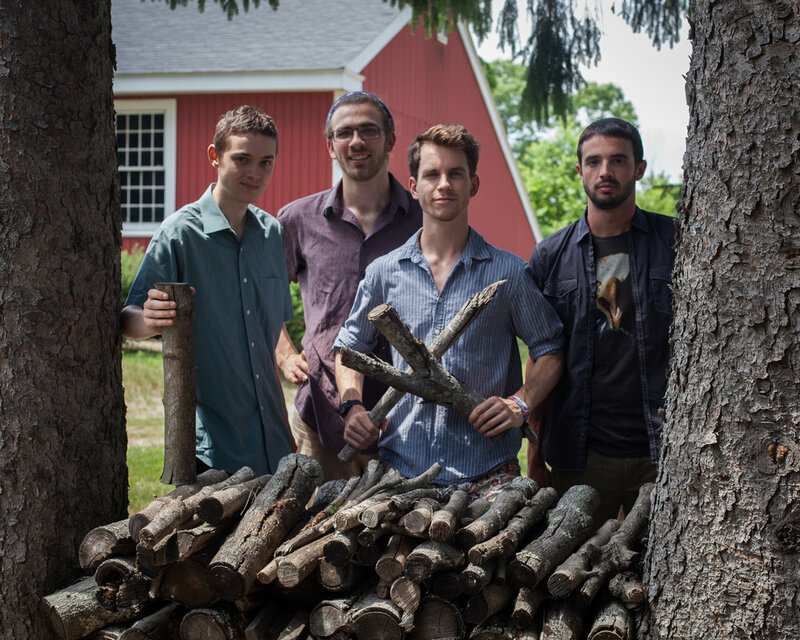 Aidan spent the next three years showcasing his compositions while touring New England with Freddy & the Yetis quintet, while also developing a successful side business as an educator and private instructor. The Yetis became known for their signature fusion - jam band sound and for their consistency in hiring the best available local musicians. 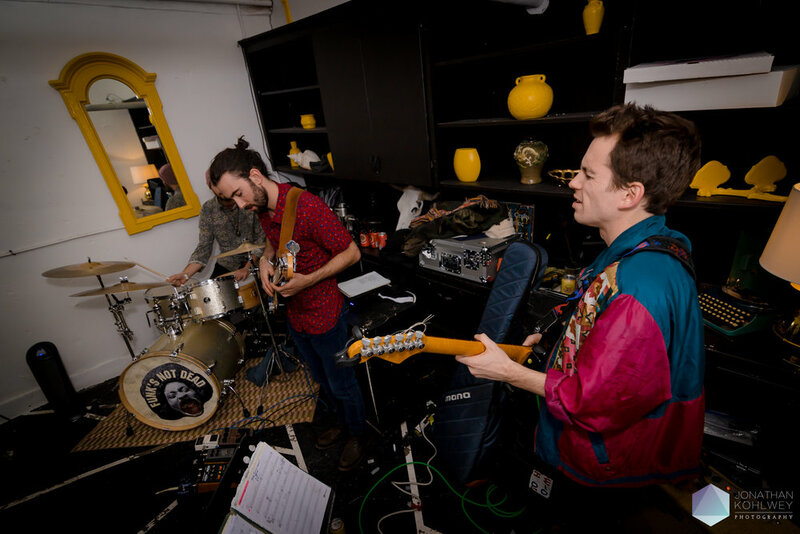 In 2015, Aidan put Freddy & the Yetis on a three year hiatus study with one of Berklee College of Music's senior guitar professors, Bruce Bartlett. Aidan prides himself on his musical adaptability and respect to the pedagogy and lineage of music culture. Aidan weaves his signature sound in whatever he works on. 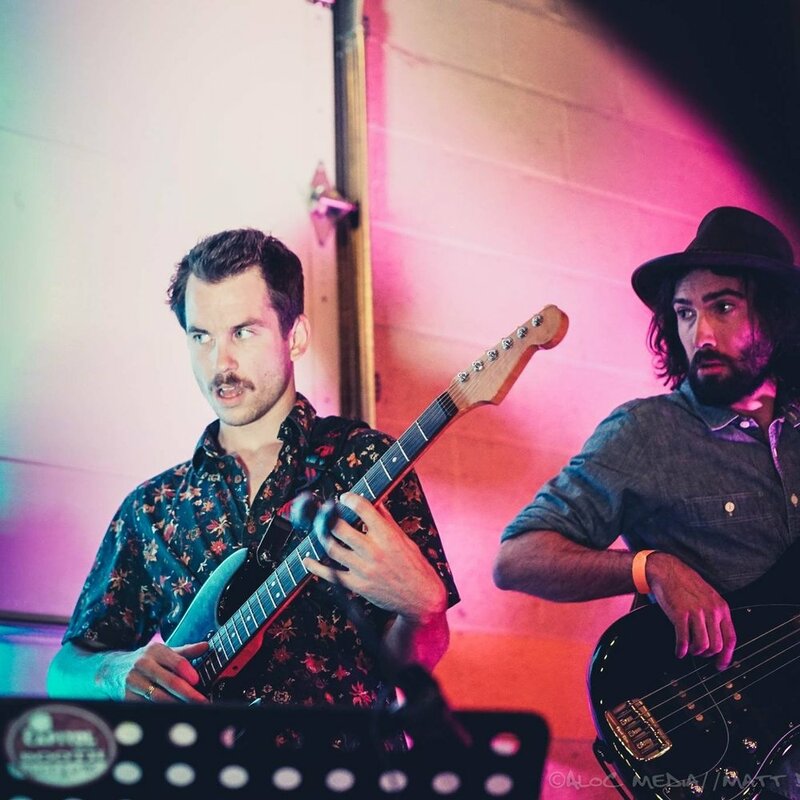 Whether it's a hip hop composition, a psychedelic fusion-jam solo, or rhythm guitar in a Steely Dan cover band, Aidan respects all that went into the development of a piece while maintaining personality throughout. He reallly digs music. In February 2018, Aidan moved to Denver, Colorado. Since his move, he’s performed with members of Tedeschi-Trucks Band, Big Gigantic, Lettuce, Thievery Corporation, The Motet, John Brown's Body, Dopapod, Karl Denson’s Tiny Universe, Pimps of Joytime, and many more. His instrumental cover band, cleverly named the Aidan Pagnani Band, can be seen playing weekly in the Denver/Boulder area. Freddy & the Yetis announced the recording a new album coming 2019. Aidan is available for booking and for teaching private lessons. He welcomes anyone to contact him regarding sub-gigs, weddings, lessons, recording, writing/orchestration and full time projects. Click here to hire Aidan Pagnani! These concerts are just SO fun. 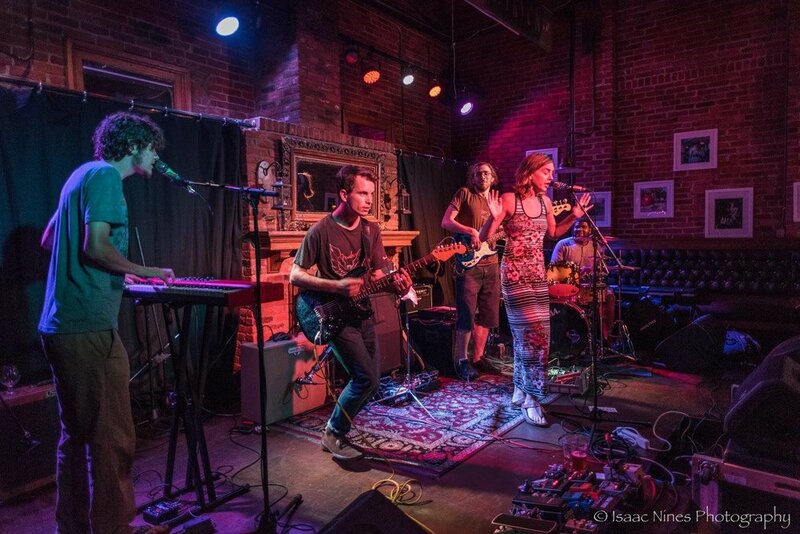 Regionally touring Denver-based fusion-jam band showcasing the original music of Freddy (Frederick Aidan Pagnani). Ft. Marshall Carlson - Bass (Kind Hearted Strangers) and Jeremy Dietz - Drums (Chompers). (Supporting Casey Russell’s Soul Shack Fat Tuesday 2019). 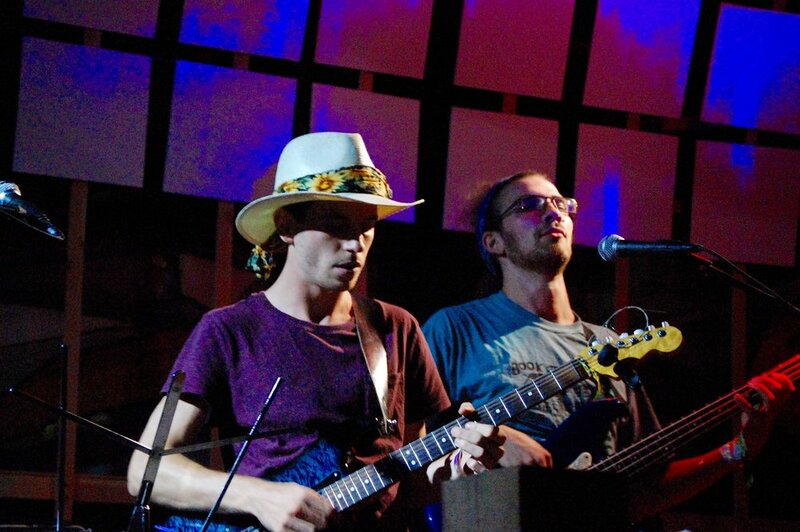 Ft. Neal “Fro” Evans - Drums (Dopapod) and Chuck Jones Bass (Dopapod). Ft. Rachel Eisenstat - Vocals, Bryan Lefever - Drums, Karl Summers - Bass. Aidan Pagnani is a composer, performer, guitar instructor and band leader. He teaches lessons at his apartment in City Park area Denver, CO and can drive anywhere in the Denver area. Aidan also offers skype lessons internationally. Aidan Pagnani is a Hampshire College music program graduate who has taught students of various ages, skills, and music preferences. 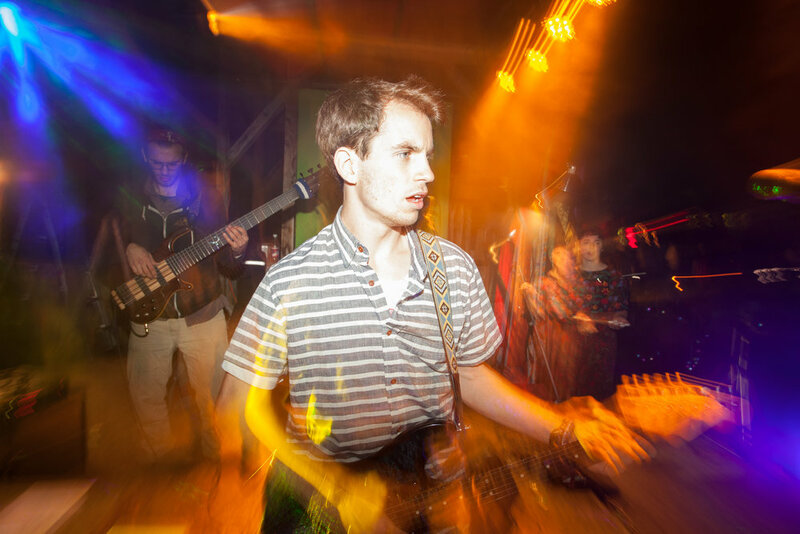 He plays guitar in the touring band Freddy & the Yetis, and spent the last three years studying in Boston with one of Berklee College of Music's most senior professors. He's played thousands of gigs in his life and is a certified and background-checked member of the Music Teachers National Association. "My goal with students is to encourage both a love of music and the guitar as an instrument for personal expression. I want to see my students playing the music they enjoy as soon as possible. Every student is treated as an individual. Their needs, abilities and learning style are taken into consideration. I use this information to design a student specific curriculum. The experience should be fun and educational for the student." Prices are negotiable depending on location. They start at $45/hr. "Aidan Pagnani has been teaching my 12-year old son guitar for the last year. He started with the basics in technique and later worked with him on music appreciation. My son really enjoyed his easy-going and attentive nature and attitude. Aidan was always punctual and respectful of our schedule. I feel my son learned a lot about music and he enjoyed working with Aidan." - Carol L.
"An awesome guitar teacher! Aidan taught me awesome technique while having fun-- you'll learn to play the songs you love! I absolutely recommend him!" - Gabby P.
"Aidan is a terrific teacher!! I played professionally over 35 years ago and have not played at all since. At this point I could not play ANYTHING. He took me back through the basics and got me thinking the way I did when I was in my teens. Clearly he has the technical aspect of both music and teaching down - but what made him a great teacher to me is his love of music and guitar. Reminded me of why I loved it in the first place. Although we didn't match up on style perfectly - he embraced the music that I loved and got me back up and running - could not give him a higher recommendation!!" - David G.